This recent report suggests that a large global demand for gold will trump whatever supply is brought to the market. Every week, we bring you the latest news and critical reads on precious metals in Your News to Know. Stories this week include: A supply deficit for gold is expected in 2015, investor demand for gold expected to encourage a bull market and divers off the coast in Israel uncover a treasure trove of gold coins. In a recent report on his blog, Lawrie Williams cites recent data suggesting a considerable lack of gold supply worldwide. According to Williams, a World Gold Council report on the gold demand trends might be overlooking some significant statistics, which would make actual gold demand much higher than reported. Williams notes that the estimated 814 tonnes of consumer demand and 2,100 tonnes withdrawn from the Shanghai Gold Exchange fail to take into account gold purchases by commercial banks that are thought to be around a considerable 1,200 to 1,300 tonnes. His report also suggests that the Chinese central bank might be using commercial banks in order to increase its gold reserves under the International Monetary Fund’s radar. The steady demand for gold that investors are showing remains a key component for gold to reach and maintain bull market status, Kitco News reports. Analysis performed by Bank of America Merrill Lynch (BAML) notes that investor demand is critical to keeping gold prices at current levels. While some of the present market conditions, such as the strengthening of the U.S. dollar and the hawkish Fed policies, have been keeping gold prices at current levels, the hike in interest rates by the Federal Reserve, currently expected for June, could act as a bullish trigger for the price of gold. 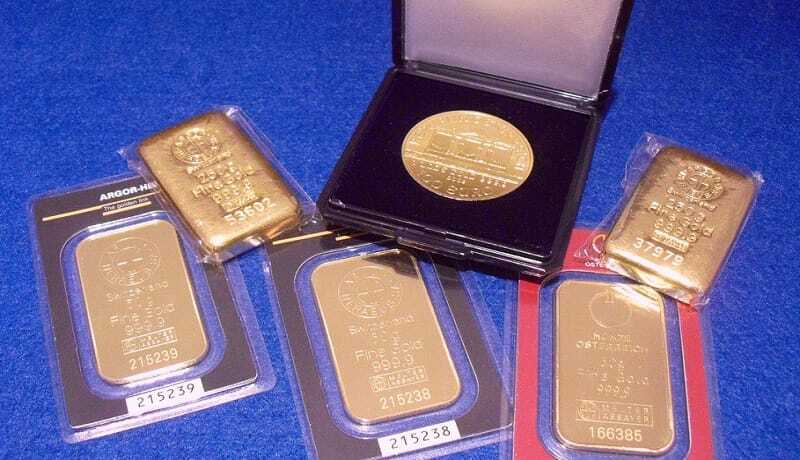 According to the analysis, the average price of gold in 2015 will likely be around $1,238 an ounce due to several economic factors, mainly the slowed growth of supply from gold mines as well as increased market demand for the metal. This week, the Israeli Antiquities Authority (IAA) revealed a record amount of gold coins were found by scuba divers off the country’s Mediterranean coast. The treasure trove, the largest ever uncovered in Israeli history, was accidentally spotted by members of a diving club nearby. “At first they thought they had spotted a toy coin from a game and it was only after they understood the coin was the real thing that they collected several coins and quickly returned to the shore in order to inform the director of the dive club about their find,” the authority statement said. The 2,000 coins in different denominations, originating from the Fatimid Caliphate, weigh in at around 20 pounds total and have been deemed priceless by the antiquities authority, who refused to provide a potential price estimate. An authority spokeswoman also added that there will be no finder’s fee for the coins, which were uncovered by the winter storms in the area. Several origins for the treasure have been suggested by Kobi Sharvit, the director of the IAA marine archeology unit, who also announced that excavations will be done on the treasure trove site in order to ascertain how the gold coins ended up there. Read Birch Gold Group reviews on our profile on Certified Consumer Reviews.